Introduced at the Milan Fair in 1985, the Zundapp-powered Lesmo was produced from 1986 to 1989. The successor to the LB One, it lacked the former's exhaust valve and (thankfullly) electric starter, and gained a sixth gear, increased rake and trail and a longer wheelbase. 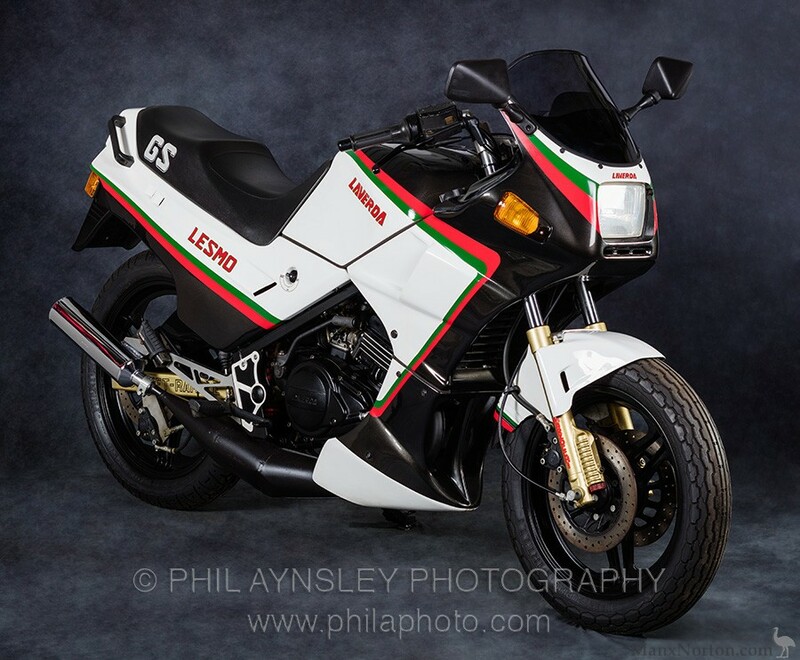 It was also frightfully expensive, and this example is the only one which was sold by the Laverda distributor in Holland. It has done 140 kilometres since new.